With more and more pets accompanying us on road trips and vacations it is important to heed the same safety measures that one would if riding with a child. We have compiled a helpful list to help you and Fido have happy tails. A 20 pound dog should be given about 50-mg an hour before travel. Helps many stressed pets. Small dogs and cats should receive 12.5 mg every 4 to 8 hours and larger dogs should be started at 25 mg.
1 dose lasts 24 hours. A Chinese herb found at high-quality health stores. A medium dog would take about ¼ vial mixed in warm water every three to four hours. Try a few drops on a cloth in the car or crate. May help some dogs and cats with travel anxiety. A calming pheromone derived from a compound secreted in mother’s milk to relax nursing pups. 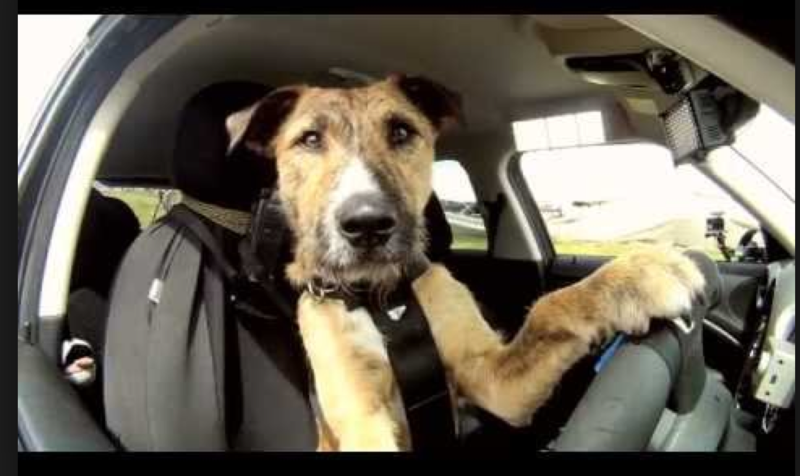 Nearly 60% of dog owners have driven while distracted by their pets as passengers, according to a new survey by auto club AAA. Only 17% — about one in six — ever use animal restraints, which can prevent pets from being a distraction and protect them and other occupants in a crash, the survey finds. Arizona, Connecticut, Maine, Hawaii, New Jersey and Rhode Island all have pet restraint laws. In crashes, unrestrained dogs pose an unintended threat to the driver and other passengers, says Jennifer Huebner-Davidson, manager of traffic safety programs at AAA. She says an unrestrained 10-pound dog in a crash at 50 mph will exert 500 pounds of force on whatever it strikes; an 80-pound dog in a crash at just 30 mph will exert about 2,400 pounds, she says. Unrestrained dogs also can prove distracting by climbing onto the driver’s lap, interfering with the ability to steer or crawling onto the foot pedals. Canine Seat Belt Systems-For large or small dogs, one of the safest ways to secure them inside a car is with a canine seat belt system. Pet Car Seats-Pet car seats, similar to those used for children, are a viable option for use with smaller dogs. Safety Barriers-Vehicle pet barriers are a great way to minimize distraction while you’re driving, keeping you and your pets safe. Most auto pet barriers are adjustable and designed to fit in a variety of vehicles while many are made specifically for hatch back cars, SUVs and mini vans. Pet Carriers-Pet carriers are an ideal option for traveling with cats and small dogs because they act not only as a form of protection, but also can provide a reassuring space for the pet within the vehicle. Pet Crates-Should you desire the enclosed protection of a pet carrier for your larger dog, a crate may be the most suitable selection. Pet “Hammocks”- Buy a dog hammock for car and convert your back-seat into a comfortable travel area for your pet, while protecting the seat fabric from the dog smell and dirt. If you are a Do It Yourselfer there are tons of websites, such as Pinterest, teaching you how to make these at home. Websites such petswelcome.com show dog friendly lodging and restaurants along your route. Avoid car sickness by letting your dog travel on an empty stomach. 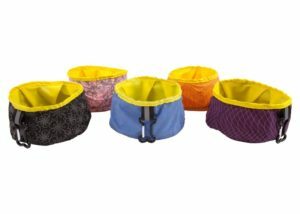 However, make sure they have their collapsible water bowl with water accessible at all times. Poo Doo Leash has great portable water bowls! Stop frequently for exercise and potty breaks. Be sure to take your Poo Doo leash to clean up after your dog. Keep the car well-ventilated; if the dog is in a crate, make sure that fresh air can flow into the crate. Take your dog on a long walk before your trip and after you reach your destination. Never, ever leave your dog unattended in a closed vehicle, particularly in the summer. Keep a travel bag with your dog’s medications, toys, chewies, extra food and medical records. Impromptu swims, rain or unplanned romps in mud puddles could happen! Bring a couple of old towels along for the ride. Poo Doo Leash wishes you a happy and safe spring break with your fur babies!